Debussy’s “Hommage a Rameau”. Arturo Michelangeli, piano. This entry was posted in Bob Denham, Music on March 26, 2010 by Bob Denham. Taken at a rally for John McCain today in Arizona. 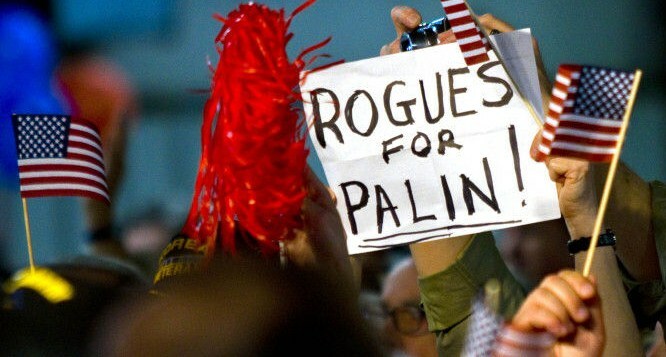 A reminder that it’s better to be a fool than a rogue. This entry was posted in Picture of the Day on March 26, 2010 by Michael Happy. Tim Lee, possibly the only standup comedian with a PhD, does a bit on PowerPoints with PowerPoints. Worth seeing. Worth showing to your students. This entry was posted in TGIF on March 26, 2010 by Michael Happy. Frye is cited in a couple of blogs today, for very different purposes, reminding us just how broad and generous that intellect of his is. “Junk Politics,” in Bill Toten’s Weblog, and “The Thriller, A Consideration,” in The Denver Bibliophile. This entry was posted in Frye Alert on March 26, 2010 by Michael Happy. Sonata no. 29 (“Hammerklavier”), Largo e Allegro Risoluto. Alfred Brendel, piano. On this date in 1827 Beethoven died. Finale of the 9th Symphony after the jump. This entry was posted in Anniversaries, Music on March 26, 2010 by Michael Happy.